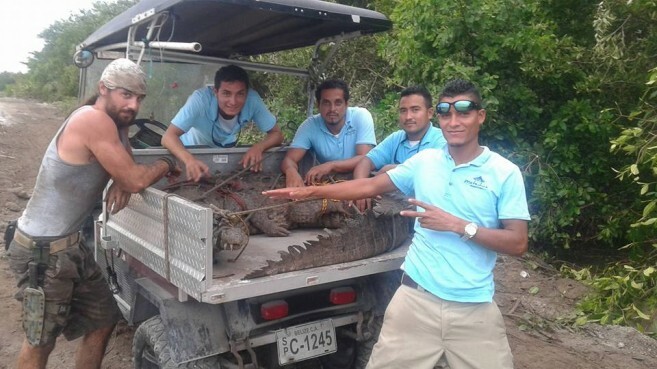 The American Crocodile Education Sanctuary (ACES) removed two large crocodiles from two different resorts north of San Pedro Town. The respective establishments requested their removal after the animals allegedly became a nuisance for the businesses. Both crocodiles measured 11 feet and are now in a safer area where they are not expected to harm anyone. ACES’ mission is to safely relocate troublesome crocodiles in order to conserve the species on the island. Northern Ambergris Caye is going through large scale development, and the crocodiles’ natural habitats in this northern area are shrinking. 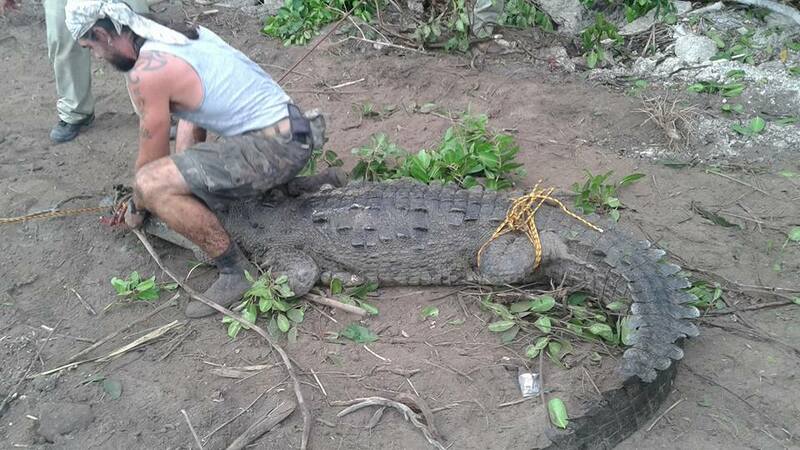 The end result in most of these cases is crocodiles coming in close proximity with humans. On Friday, June 5th, ACES conducted the removal of a crocodile from the Matachica Resort area. The reptile was discovered while works were being done around the resort near a shallow pond. The animal was relocated to the southern part of the island. Then on Monday, June 8th, ACES once again answered the call of another croc spotting, this time at Grand Caribe Resort area. The large crocodile was removed and remains in captivity in an emergency holding enclosure. According to Chris Summers from ACES, both crocodiles were becoming problematic, hence why they were relocated. “The crocodile at Matachica was not used to people, but was hanging around near common areas where people would often get together. Even though it was shy, due to its size, it would become a menace since these animals are territorial. So it was relocated before someone got attacked,” said Summer. He noted a difference with the croc found at Grand Caribe. “At Grand Caribe we met a crocodile who showed no fear for humans. This means that the animal was used to being around people, perhaps it was fed by people from the area, which is totally wrong. It does not matter how used to humans a crocodile is, they have the instinct to attack as they are apex predators. Thus this particular crocodile is being kept in captivity,” stated Summers. 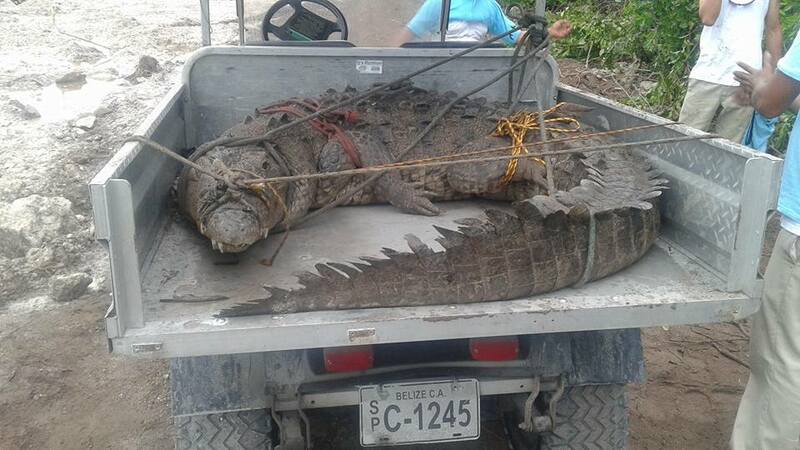 The same crocodile at Grand Caribe was pointed to be responsible for missing dogs and in one particular situation, a resident even reported that her dog was attacked and killed right before her eyes. Summers further explained that the future of the crocodile population in Northern Ambergris is very uncertain, especially where large development projects are taking place. “It all depends on the type of projects that will take place in that area. For example if they build around the pond where most of the crocs live and a fence is built, I believe the crocs will not be a problem for anyone, however if the pond is filled then the crocodiles will have to go.” Summers also emphasized on the need to educate people about these creatures. “The public in general needs to be educated on proper ways in how to deal with crocodiles. We need to teach them the proper procedures to ensure their safety and the safety of the animal as well. We can live side by side with these magnificent creatures, it is all about respect,” ended Summers. The clown from Matachica Resort throwing his 'croc' gang sign looks pretty cocky for a guy who's cloths are clean after capturing the croc. Pretty obvious who did dangerous work and who watched. Way to photobomb the real conservationist chichi.